"In a world beyond your imagination a battle for the universe has begun." Warriors of Virtue is an action-fantasy film directed by the Hong Kong multitalent Ronny Yu. The film focuses on the adventures of Ryan Jeffers. Ryan is a disabled high school student and is unable to be physically active. So discouraged is Ryan, he spends most of his time daydreaming and reading graphic novels. He goes by his favorite Chinese joint one day, and the owner lends Ryan a Tao manuscript which represents the Wu Xing, or the "five Chinese elements" (Wood, Fire, Water, Metal, and Earth). The owner feels that Ryan might attain a true enlightenment should he complete the book. Ryan disregards the idea of a "self-help" book, but takes the gift anyway. Later on, Ryan is "initiated" by school quarterback Brad, returning to his senses in the Land of Tao. In this world, Ryan is no longer crippled but is soon attacked, losing his backpack (containing the manuscript) while trying to escape. During this process, Ryan meets Mudlap, who shows him to the beautiful Elysia, with Elysia showing Ryan the way to Master Chung. Master Chung leads the kangaroo Warriors of Virtue: Loyal Lai of Wood, Wise Chi of Fire, Integrous Tsun of Earth, and Righteous Yee of Metal. The Benevolent Yun of Water is no longer around. Chung and the warriors are questing for the "Manuscript of Legend." The evil warrior Komodo has been using an army to invade and terrorize Tao in a quest for "zubrium," a substance that is the key to eternal youth if consumed. The Warriors defend Ryan from Barbarocious, a minion of Komodo. Realizing Komodo has the lost manuscript, the Warriors join up to take the warlord on, encountering the minion "General Grillo" in the process. Komodo is eventually defeated when the Warriors combine their powers, after Ryan reads a select text from the Manuscript, the outcome of which has Ryan back in the real world, prior to the point of being initiated by Brad. 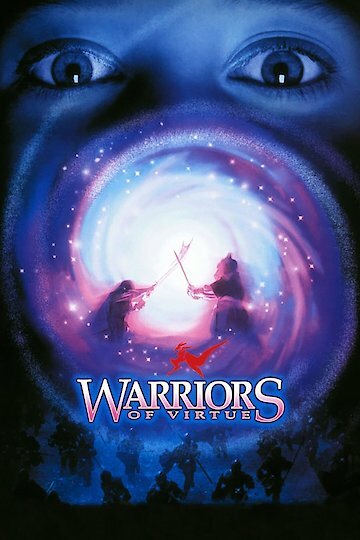 Warriors of Virtue is currently available to watch free on Vudu Free and stream, download on demand at online.